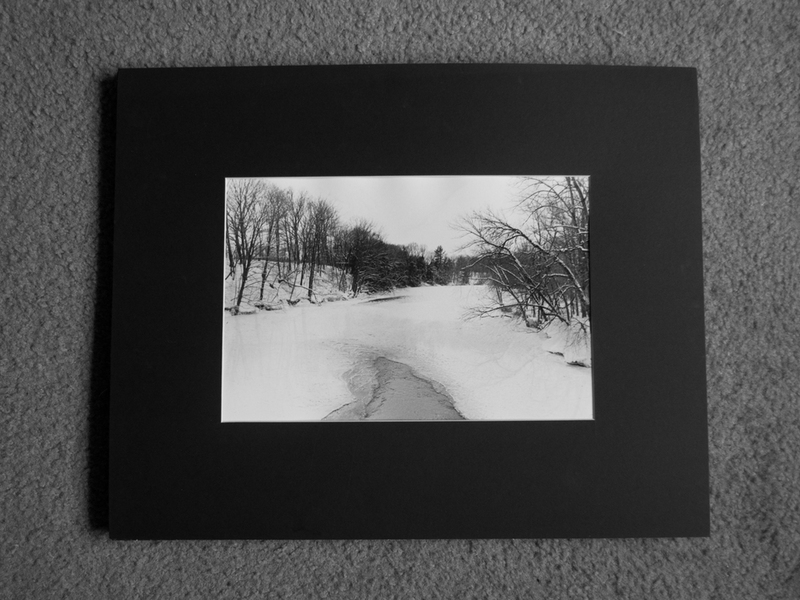 This blog is way over due, but last quarter I had a darkroom class. In this class we learned how to shoot with film cameras and develop the film ourselves. At first, I was very scared to take this class because I had no prior practice with film. I have two film cameras that are sitting in my closet, and yet, I have not touched them. As I went through the process a couple of times I got used to it and found that I was pretty good at it. It was nerve racking to go out and shoot because I couldn’t look at the back of my camera at the digital screen. I had to make sure my exposure was exactly right. After shooting the film was the processing part next. Before starting with the chemicals I had to try and get the film roll onto the reel to put it into the film canister to begin the mixing process. The trick to this part is that I had to put the film onto the reel in complete darkness. I could not have any lights on because it would have damaged the film. I pried the top of the film case off with the can opener, felt with my hands, and made sure I rolled the film accurately on the reel. If my film had touched another part of the roll, it would have damaged my photographs. After I thought I got it on, I had to cut the end of the film strip off with scissors, making sure not to cut my finger off, and then put it into the film canister and hope for the best. Once it was in the canister the lights could come on and I could start. To start off, I had to make sure my water temperature was at 70 degrees Fahrenheit. While that was warming up, I would lay out my containers and organize my chemicals in the order that they were during the process. Then, I would begin. First would be a water wash, where I would put 500 milliliters of water into the small top opening of the film canister. I then rotated the canister after putting the top back on for one minute. After that I dumped the water out and got my developer (450 milliliters of water to 50 milliliters of chemical). I poured the developer in and rotated it every 50 seconds for ten minutes. After that, I dumped that out and poured the stop bath in (450 milliliters of water to 50 milliliters of chemical). I rotated that every 50 seconds for three minutes. After the stop bath, came the fixer. The fixer I used straight, which meant that I didn’t mix it with water. So, I had to get 500 milliliters of fixer and pour it into the canister. After that was finished, I could not dump the fixer down the drain because the silver in the fixer could ruin the pipes, so I had to dump it into a recycling container. After the fixer, I had to fill the container with fixer remover, also used straight. After the fixer remover, I had to do another water wash for five minutes. Instead of rotating this by hand at this point of the developing process, I was allowed to take the film out and place it in this water tube, which continuously ran water. After that wash, I sat my film reel back in the container, but didn’t put the top back on. I poured the next chemical, the stabilizer, into the container, just enough to cover the reel and turned it with my finger for a minute. Once all those chemicals were completed, it was time to see the truth. I pulled my film off the reel, holding it up to the light to see how I did. Not once did I mess up my film during that class (we developed six rolls). I then squeegeed the film by simply running my fingers down it twice to try and get as much water off as I could. Then, I hung it in a special dryer and let it dry for 20 minutes. It might sound simple, but when dealing with film it’s all about trial and error. I went through so much paper I had to borrow some pieces from friends towards the end of our quarter for the final because I could not afford another box. But after all the frustration I was very pleased with my project and received an A on it. Even my own mother was excited to see my work. Below you will see my artist statement for this project and my photographs in order, along with a picture of the negatives and contact sheet we had to make for our final as well. Keep in mind with this project I have a hidden secret within the story. Surprisingly, when we were critiquing this in front of the class one person, last minute, had guessed what my secret was (I did not mention to the class that there was a secret within the story) and when I revealed the secret everyone was amazed. Take a look at my work and see if you can figure it out, then scroll down to see the answer. For this film project I have decided to focus on winter landscapes. Being a nature and wildlife photographer, I have to get used to working with all the seasons. Winter wasn’t my favorite, but I wanted to challenge myself since I never used film before. I have always loved film landscape photographs, so I wanted to be comfortable enough to really focus on perfecting this project. I want to experiment with burning and dodging as much as I can since wide landscapes have very wide ranges of tones. Winter is such a hard season because it’s so different compared to the others. Everything seems dead and dark toned. Bearing the cold while photographing winter landscapes was the worst of the experience. It’s a lot harder to photograph in the winter while my hands are frozen. Although it was quite a challenge for me, since I’m used to working with warmer, nicer weather, I believe I was able to capture great photographs. With this project, I will be telling a story. I will be focusing on water landscapes because in the winter they are what fascinate me the most. The water could be surrounded by snow, half frozen, almost frozen, or completely frozen. To start my project I have chosen an image of a snow-covered road that I took. I chose this to open to show that the adventurer’s just beginning their journey. Then, through the series I will have various stages of the winter waterscapes as if the adventure is walking a path, seeing the different stages, and ending with a completely frozen waterfall. With this final project, I believe I have completed what I was striving for. Have you figured out the secret? Did you look really hard? There are triangles, created by nature in every picture. Thank you for reading my blog and I hope you enjoyed it!